The information on this page is based on a newspaper article, dated November 11, 1999, Veteran's Day, provided by Sheila Kiiker of Hastings Nebraska. Eileen was the eighth of 11 children born to Frank and Adeline Kealy. She was born in Hastings, Nebraska, in 1918. Her father worked as a farmer, on the railroad, and eventually established the Kealy Contruction Company. Her mother managed the home and cared for Eileen and her siblings. 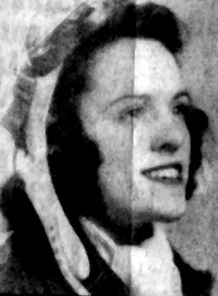 In 1936, Eileen graduated from St. Cecilia High School. 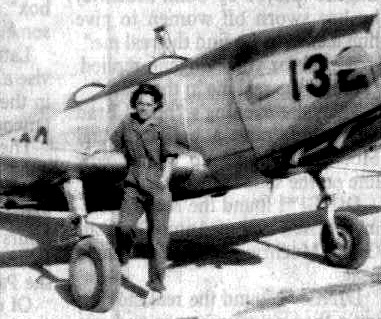 She started flying in 1938 while attending Hastings College. During WWII, while she was student teaching in North Carolina, she received a letter looking for pilots. After graduating from basic training at Sweetwater, Texas, on February 11, 1944, Eileen reported to Greenville Army Air Base in Greenville, Mississippi. There her duties including test piloting combat trainers before the planes were used to train army pilots. She also transported Army officers from base to base.